Global Employees Ready for Rugged Race to Alaska - Global Diving & Salvage, Inc. Try sailing from Port Townsend, Washington, to Ketchikan, Alaska, on a boat with no official race course, no motors, and no supply drops. Add in the potential of drowning, being run down by a freighter, or bumping into a grizzly bear. Put it all together and you’ve got the Race to Alaska. 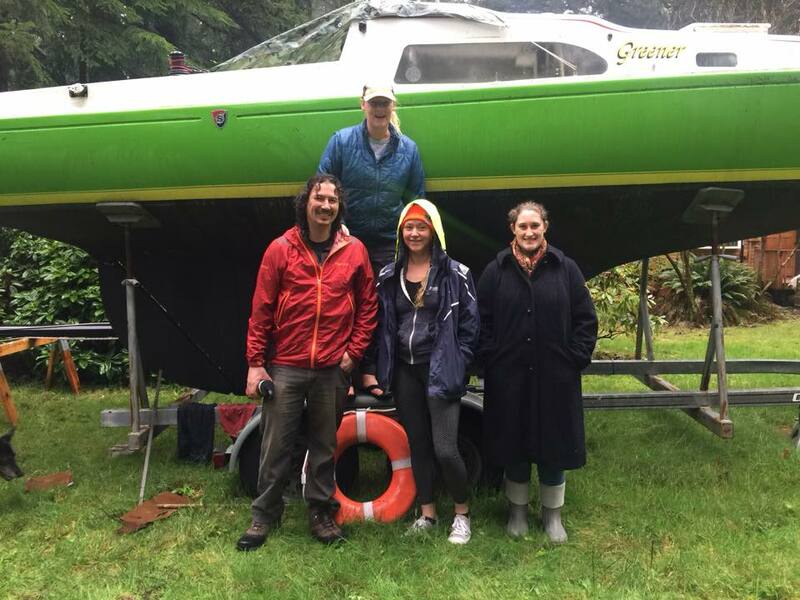 It clearly takes a unique personality to compete in the Race to Alaska – someone like Global Marine Casualty Response Project Coordinator Katy Stewart, who is taking part in R2AK for the second time. That says a lot coming from Stewart, who fought through immense challenges to complete the 750-mile race with her team last year. They spent 12 days on the Inside Passage before reaching the finish line. R2AK, a project of the Northwest Maritime Center, is the longest human and wind-powered race in North America. Teams are self-supported with no safety net out on the water. Last year, 44 teams started the competition and only 26 finished the race. R2AK is self-described as the Iditarod, but on a boat. The race’s website says, “There are squalls, killer whales, and tidal currents that run upwards of 20 miles an hour.” Those treacherous currents are what Stewart remembers most (not fondly, we might add) about last year’s race. There are a lot of similarities between Global and the R2AK teams. We both like the challenge of doing really hard things in questionable circumstances. And that’s why we’re proud to sponsor the Race to Alaska. And that common bond just might give Global employees an edge in R2AK. But we have to be honest – although we share the racers’ determination to overcome any challenge, even some of the divers at Global think Stewart and Church are a little bit nuts for competing in R2AK. 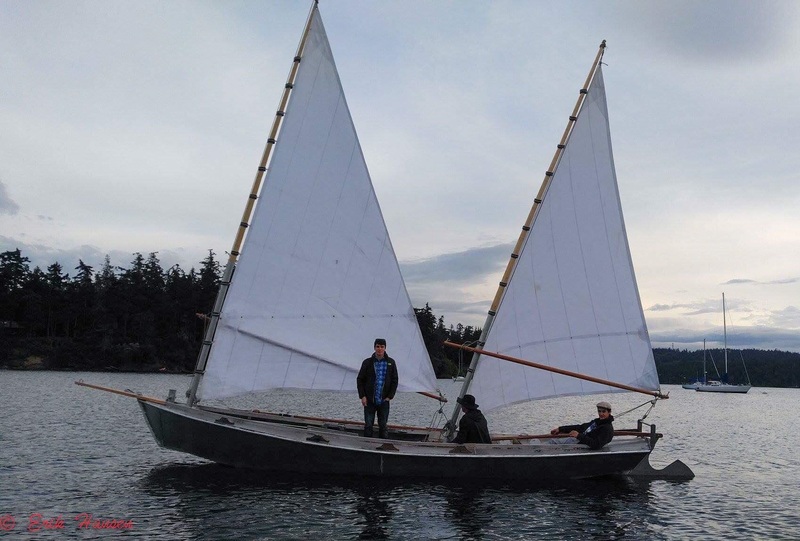 The Race to Alaska begins June 8th in Port Townsend. The first stage is 40 miles to Victoria, British Columbia, and the 710-mile second stage begins June 11th, eventually taking competitors to the finish line in Ketchikan. Teams have finished the R2AK in as quickly as four days, but there are usually a number of teams that never see the finish line. The first place finisher gets $10,000 (if you’re the first to say yes to selling your boat back to the R2AK crew, there’s $10,000 in that, too), second place receives a set of steak knives, and the rest – they feel a sense of accomplishment completing something that most of the world thinks is just plain insane. We’re following Katy and Malachi every step of the way during the Race to Alaska. Check out our Facebook page for the latest on their progress, and visit their team pages at Team Global and Team North2Alaska for more. Great challenge for Team Global that anyone (if they have a pair or any ambitions for success) should be envious of! Good luck Katy and Malachi, I will be following your endeavor. I wish you strong winds when needed, ebb tides when required, and a very cold beer when you finish.